except no meeting in August - come to Holiday Bible Club instead! 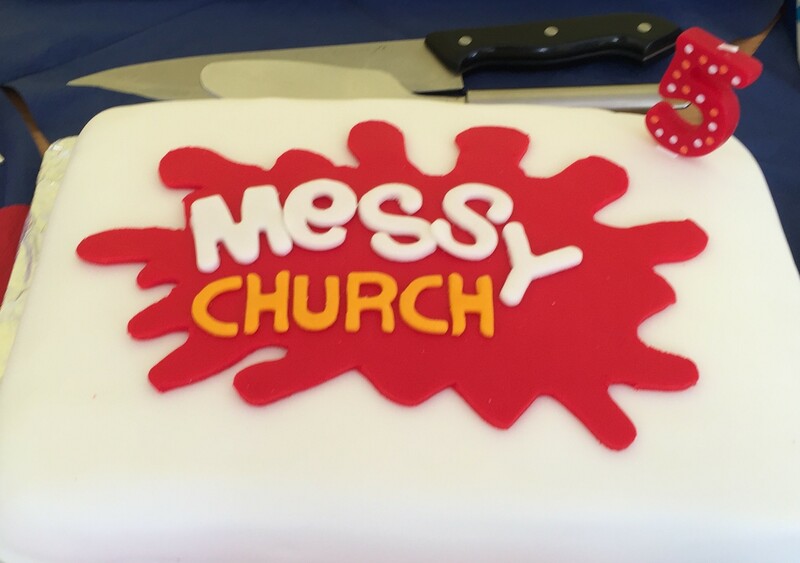 Messy church is worship for families and is very informal. Come at 16:00 on the second Sunday of the month, until 18:00, for Bible-themed stories and music, craft, fun and games, shared tea and more. All welcome, but children must be accompanied by at least one adult. Each Messy Church has a different theme - a previous subject was Light, the December session is our Christingle Party, there was a series on Moses, the April or March meeting is Easter and November Remembrance. As indicated above, the activities can be quite varied too. It has even featured climbing! Moreover it does not you cost anything - Messy Church is free. 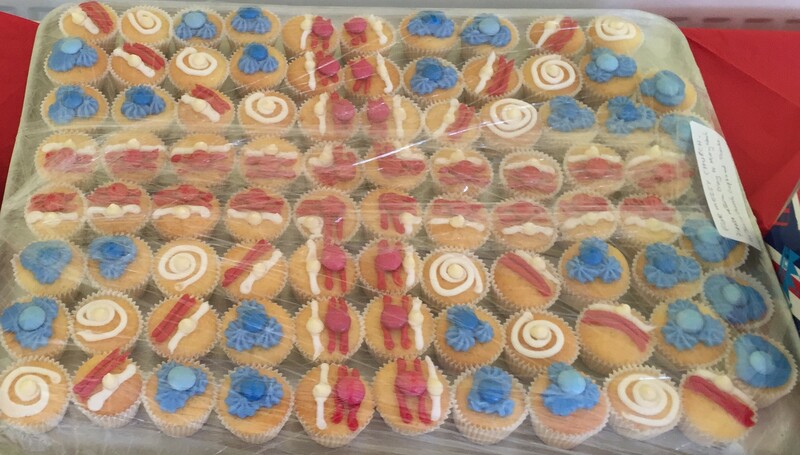 Sunday 12th June 2016 was our Queen's 90th and Messy Church's 5th Birthday Party. There is never a meeting in August because of Holiday Bible Club. For more information email messychurch @ christ-church-woodley.org.uk. and Churches Together in Woodley. Page last updated 16th September 2018.